[By Nick] Let's do another double shot of a brand I can't get up North. This time it's flavors that don't relate because honestly, neither one deserves it's own review. PET Dairy (a Dean Food's company) seems to be the budget friendly ice cream down here. I can't remember the exact price for the larger containers but I know these pints were less than $2 a piece. My girlfriend and I opted for the pint because we had a strong feeling this brand might not be worth the larger investment. Let's go with the flavor I chose first again. Now that description sounds pretty good in theory. My only problem with it is that there isn't actually any cake pieces. I know they flavored the base like that but if cake is in the name, I better have cake chunks. However, the base is rendered irrelevant. That icing swirl is as sweet as it is pretty. I love icing and all that sweetness but I can see others such as my girlfriend who took a spoonful and wanted water to clear her mouth out after not being a fan. It is very sweet and strong. The base's flavor doesn't stand a chance. Thankfully, the sprinkles don't have much flavor normally so they're not really affected by the swirl. Their crunch is noticeable so they succeeded with their texture contribution. As a whole, this is a very sweet ice cream that I'm not too sure I'd want again with all the other birthday cake options on the market. 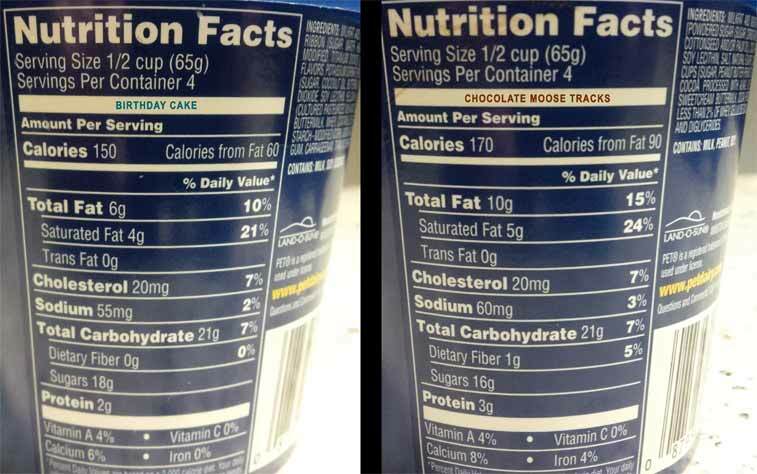 You can never go wrong with Moose Tracks, right? I mean they basically give you the ingredients and recipes to make their flavors. 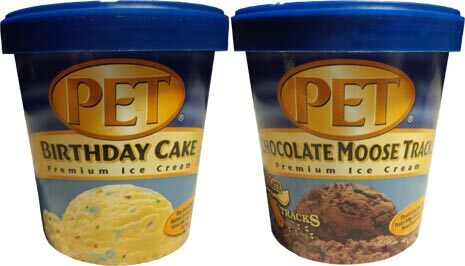 It's a good thing for PET because the only thing going for this flavor is the mix-ins. The chocolate ice cream is beyond flat. Nothing stands out and it isn't rich, sweet or just about anything. This might be the blandest chocolate I have ever encountered. Thankfully, they loaded it with peanut butter cups and fudge. The peanut butter cups are able to add some of their milkiness to the base from their shell and bring depth with the salty sweet combo of the filling. 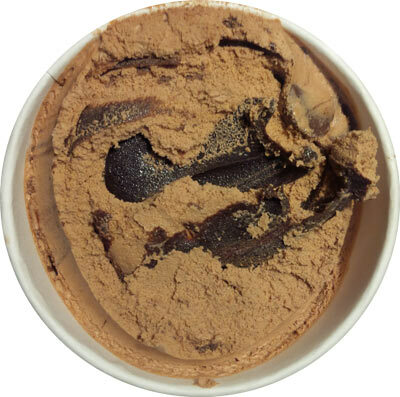 The fudge is the same deliciousness you've encountered from any Moose Tracks flavor and it's in high quantity. That said, there's only so much these mix-ins can do for a sub-par base. While this might be budget friendly, there are far better Moose Tracks options at that price point that are superior. 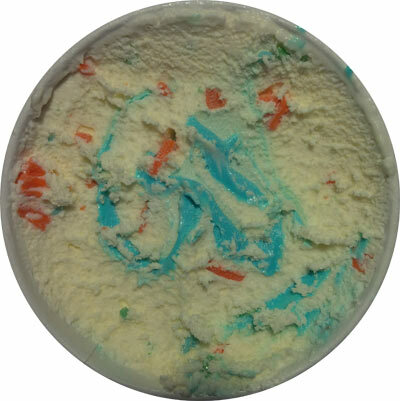 This Birthday Cake Ice Cream reminds me of Edy's Take The Cake ice cream, which had the exact same description - yellow cake batter base with a yellow hue to the base, a blue frosting swirl, rainbow jimmies, and no actual birthday cake pieces. Is PET an acronym for anything? I have never heard of this brand.